You all would agree when we tell you that tables are boring, right? There isn’t much that you can do with a table. Well, unless you are ToastnEggs from Reddit. The furniture designer decided to spice things up a bit and worked on the family kitchen table to transform it into something fun. 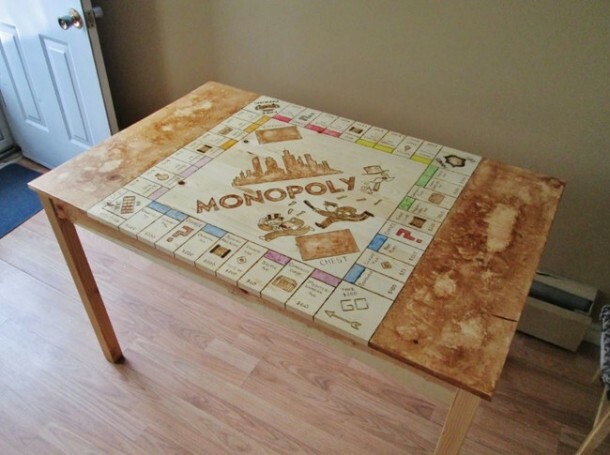 He used a wood burning tool and traced the Monopoly board on it. 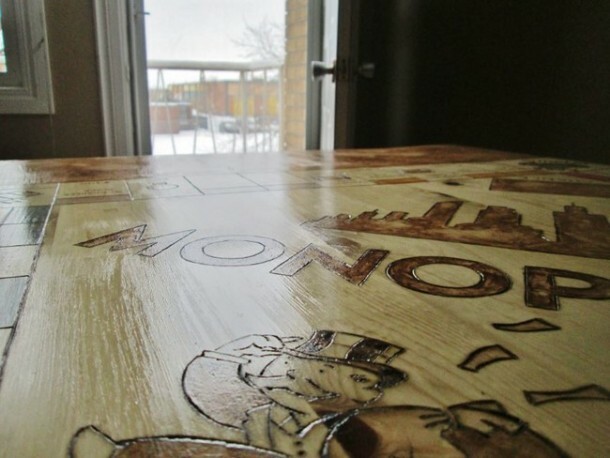 Yes, this family now has a table where they can play Monopoly all day long. Check out the details below and let us know what you think of the project. 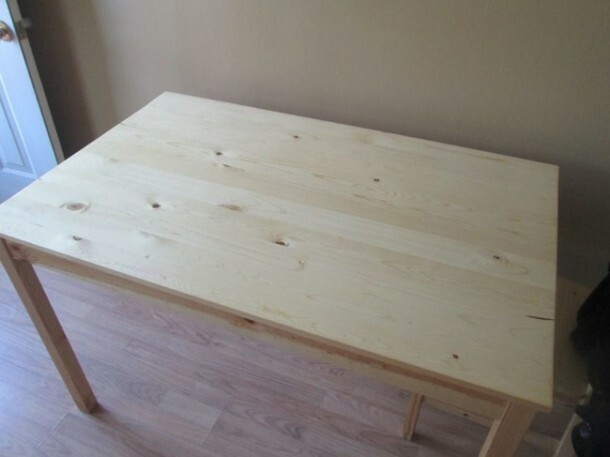 The simple, unmodified and boring table! 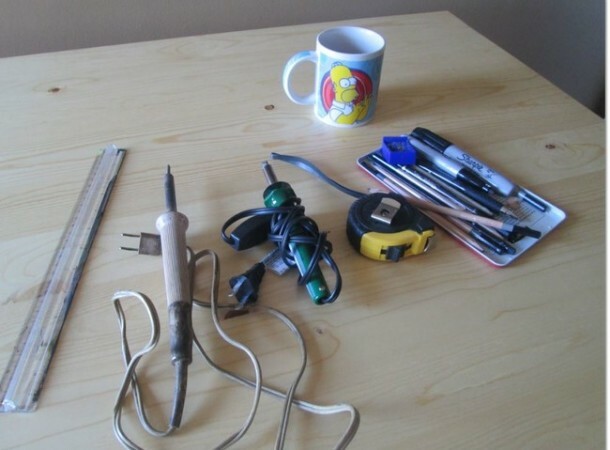 Here are the tools that were used for the job! 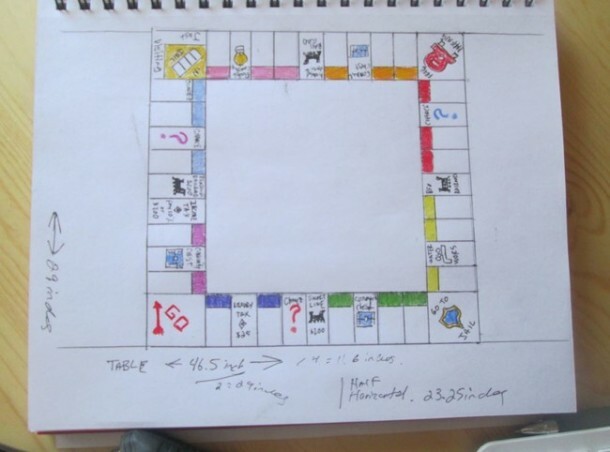 Sketch of the board, you can see the color blocks along with street names. 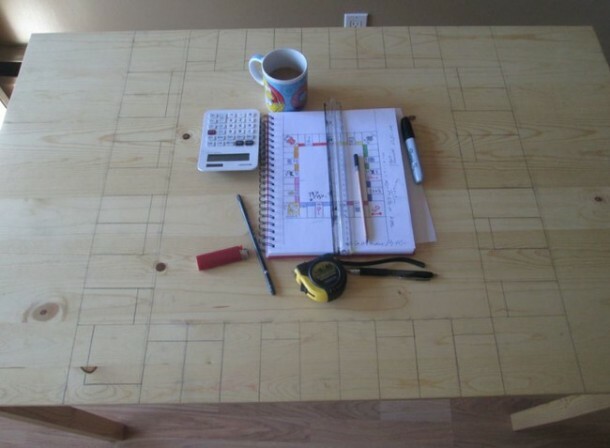 The sketch was then imparted to the tabletop by making use of precise measurements and a pencil. 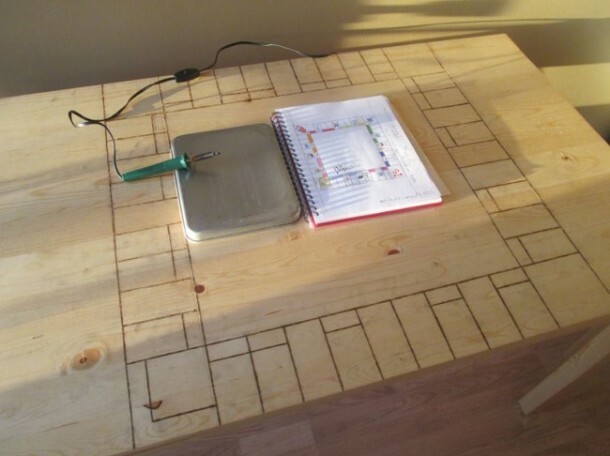 A butter knife was used for tracing the lines thus creating grooves. This assisted the wood burning tool to remains in place and ensure that lines were straight. Further details were added later while making sure that nothing was left out. 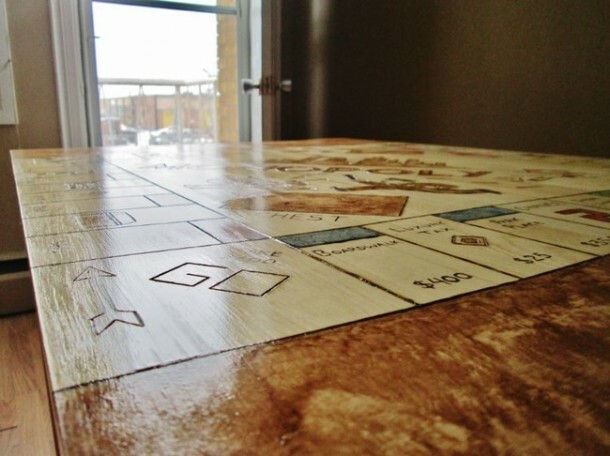 The streets were colored accordingly and particular parts of the board were varnished to mimic the actual game. The whole table was given a number of coats of varnish. 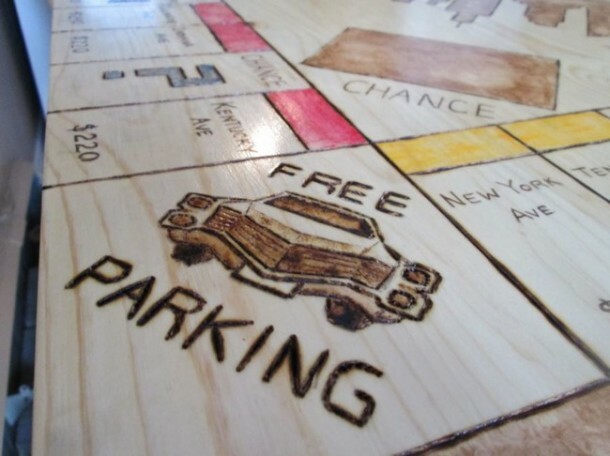 The user did impart some custom twists to the table-board such this amazing car in the free parking space. Here’s the finished product folks!